Whether your old one is past their usage level or you need a new one to maintain the tidiness of your house, the Dyson Cyclone V10 is the best cordless vacuum cleaner for you. Its a high end electric broom that has powerful suction to deep clean your carpets and remove ground-in dirt and debris altogether. In this review, we will talk about why the Dyson electric broom is the best and why you should consider buying it. The company has done an amazing job with the V10’s design. The V10 features a front-facing barrel, which all attachments connect to directly. Behind the barrel sits the expanded cyclone array with 14 chambers in total. Though this unit produces 20% more suction than the V8’s motor, it’s half the size. Dyson has opted in to use its new V10 digital motor for its latest flagship model, which itself is a truly impressive feat of engineering and capable of producing 125,000 rpm, which translates to 2000 revolutions per second. 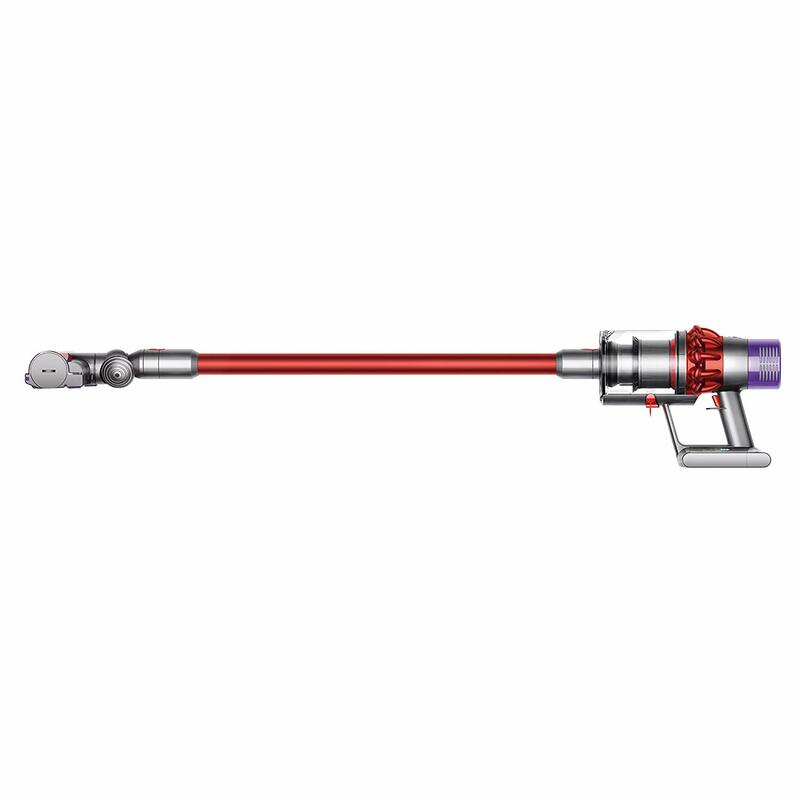 This Dyson unit features the most powerful suction of any cordless vacuum present in the market. 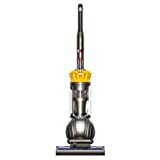 Thanks to its new digital motor and 14-cyclone array, the V10 tops the suction power provided by any cordless vacuums. The fully-sealed filtration system traps 99.97% of particles as small as 0.3 microns – expelling cleaner air. The V10 has three power modes to choose from, to suit any task on any floor type. 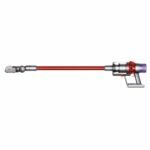 The Direct Drive attachment is the standard vacuum head that you’ll likely use for everyday cleaning. With its more efficient battery, and a larger bin than the preceding V8, the Cyclone V10 is a heavyweight performer. The V10 features a larger battery than the V8. The charging time is rated at 3.5 hours. Its running time is up to 60 minutes, which is a big win for a cordless broom. Although, at maximum setting the battery will drain much quickly, which is expected for any home appliance items. There is a battery indicator, which is split into three sections in order to notify you about how much suction time you’ve left. Some people have concern regarding the weight of this unit. Although, according to Dyson the V10 is a lightweight vacuum, you may not find it that much light. It weighs at 5.9 pounds, which is just 0.2 pounds more than the V8. Despite their futuristic design, the Cyclone V10 is very intuitive to use. It’s shaped like a gun, and there’s only one button where the trigger is, so there’s no mistaking how to hold and operate it. Before reaching to conclusion we want you to know that, the V10 is a high end model. Its meant to be surprisingly powerful and have a long life. So this is not the model for you if you’re in a budget and looking for something to just get the job done. But if you’re looking for a top of the line product for the best cleansing of your house, this is a bargain. Its a very convenient vacuum and guarantees to last a long term. So, you can think of it as an investment!